iRacing has just released its first patch for the new 2018 season 2 build. Its mainly a bug fix but its does include some updates to the Hybrid Power Units for the new LMP1 cars that have just been released. – – The Test Drive redirect functionality has been updated to include the type of racing. – – When creating a Hosted Session, the Maximum Number of Drivers now includes Shared Grid Stalls as a limit when a Race event is included in the Hosted Session duration. – – After typing in a password for a password-protected Hosted Session, the Enter key will now submit the password for joining. – – Attempting to join a password-protected Hosted Session with an incorrect password will now display an error banner. – – The last used password when creating a password-protected Hosted Session will now display in the interface. – – The last used Car, Track, and Weather, along with all of their parameters, will now automatically populate when creating a new Hosted Session. – – Session data is now fetched more frequently. 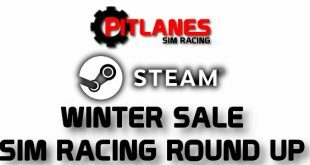 – – Fixed an issue where Nürburgring Combined was not selectable as a track. – – Fixed an issue where countdown timers would sometimes flash random numbers after a data update. – – Fixed an issue with registration that could cause a user to appear not to register for an event. – – Various minor visual fixes. – Fixed an issue that was causing the “Number of Races” in a given race week within a given Series to not include your most recent races in the count if those races did not modify your Championship Points average for the week. – Fixed an issue that was causing the incorrect team member to be shown driving the team’s car. – Fixed an issue with displaying Team Results, including Qualifying Results. – Fixed a crashing issue many users reported during the 12 Hours of Sebring event this past weekend. – Fixed a crashing issue that could occur when transitioning between race session types. – Fixed an issue that was causing frame rate stuttering when cars with hybrid engines joined sessions. – The Dirt Oval track grip adjustments for the 2018 Season 2 release have been reverted back to the 2017 Season 4 grip levels. – The starting track usage state for Heat Racing events has been reduced. – Corrected an issue where local clients were not sending the proper dirt height changes to the server, resulting in the dirt areas remaining static throughout the session. – Updated the battery system to optimize how LMP1 cars utilize the available deployment so that all of the energy is used before the end of the lap. This corresponds to the real world racing rules. – The automatic adjustment algorithm has been adjusted to allow it to take larger swings, even if it means the %EOS adjustment increment is greater than 1.0. – The mappable keyboard controls for hybrid deployment modes now support the McLaren MP4-30’s three deployment modes. – Fixed an issue where dropdown menus were displaying “? ?” in the garage during Fixed Setup Races. – Fixed an issue where opponent drivers sharing your pit stall would sometimes appear to stand up in the vehicle. – The Flag-Man will now only disappear when using Low Graphics settings for all tracks. – Fixed an issue where the Dynamic Track system was rendering incorrectly on non-Dirt Oval walls, causing visual abnormalities. – Fixed an issue where the Sim could crash caused by dirt debris particle effects. – Sawtooth curb sounds have been updated. – Adjusted the crowd’s facing behavior to better suit the active camera location. – We have temporarily switched the iRacing Video Capture system to “OFF” for all users. There is currently a conflict between the Video Capture API and the Oculus Rift, making the SIM nearly unusable for Oculus Rift users. – – If desired, you can manually re-enable the iRacing Video Capture system if you do not have an Oculus Rift, or are not experiencing any problems. – We’ve performed some database maintenance and upgrades, and Race Results should now appear slightly quicker than before. – Reduced the increment for target battery state of charge when manually trimming MGU-K deployment. – The F4 Black Box now shows both fuel numbers in liters. – Fixed an issue where windscreen tear-offs were not functioning properly during live pit stops. – Fixed an issue where the suspension cameras were on opposite sides. – Fixed the Rear Diff. tooltip in the Garage so that it now references the correct number of gear ratios (6 instead of 7). – Corrected the tooltip on the trim setting for manual MGU-K deployment. – Fixed an issue with the garage tooltip for the rear anti-roll bar settings. – The drafting scheme for this vehicle has been updated to provide more strength, more downforce loss, and less overall length. – The front wing flap adjustment range now corresponds to front endplate angle and wicker limits. The range of pit stop adjustments for the front flap is also limited in the same manner. – Tire grip has been reduced, most notably at large speedways, with an altered starting cure state to induce fall-off. – Opponent cars will have single front and rear wing flaps at 1 mile ovals and Iowa. – Weight jacker (WJ) information has been replaced with Push-to-Pass information on the digital display while on a road course. – The MPG label on the digital display will now show LPL (Liters of fuel used Per Lap) when metric units is selected via the Options menu. – The proper wheels should now appear on this vehicle in interface images. – Fixed an issue where the damage a driver was seeing on an opponent car did not exactly match the damage the driver of that car actually had. – (ALL) – Nose collision elements have been updated to prevent competitors from “snow-plowing” each other. – Fuel options now use even increments. – Season setup for The Dirt Track at Charlotte has been updated. – (ALL) – Maximum brake torque has been reduced slightly. – (ALL) – All corners now allow between 3-6 compression and 3-9 rebound shock valve adjustments. – (ALL) – Fuel tank center-of-gravity has been adjusted slightly. – Fixed an issue where this car’s engine was silent when viewed by external cameras. – Added some missing driver animation. – The tire wear rate has been increased and cure-based degradation has been added. – – Please be aware that because of the increased tire wear, if you try to run very long stints, you run the risk of experiencing tire failures. By this point, tire performance should have dropped off enough that this approach would put you at a strategic disadvantage, but you should nevertheless pre-plan your strategies appropriately. – The adjustment increments have been reduced when manually trimming MGU-K deployment. – Updated the tooltip for the trim increment when manually deploying the MGU-K.
– The MGU-K regen gain setting tooltip now correctly ranges from 1 to 10. – Night mode has been enabled for this track. – Adjusted the text appearance on the tower. – Fixed the light-bulbs in the letter “I” for this track logo on the main grandstands. – Adjusted a scenic camera to fix a crowd issue. – The new pit crew has been hired to work at this track! – Various environment artwork has been updated. – Eliminated an issue with visual popping of the flag-man booth. – Track grip has been increased by 1%. – (North) – Fixed an issue where drivers were erroneously receiving black flags when on pit road. – (North) – A scenic camera set has been added. – (Rallycross) – Tire bundles have been added to prevent cutting the course along the dirt section of this track configuration.